Here are our predictions for 2017 on automation and autonomous vehicles, IoT, RFID, retail, trade and the world economy, energy, AI, analytics and machine learning, enterprise solutions, and agile development. Something for everyone! 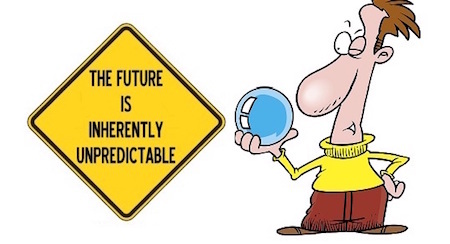 It’s the time of year when we throw caution to the wind and make our predictions for the coming year. Ann Grackin’s article, What is 2017 Likely to Look Like: Jobs, The Economy and Politics, takes a broad view across global events and forces. In this article, we make a number of specific individual predictions, most of them in some way related to supply chain or IoT or technology platforms. We hope you will find some useful insights amongst these. The ‘cobot’ (collaborative robot) market will nearly double in 2017—The market for collaborative robots (e.g. Baxter, UR5, etc.) that can work side-by-side with human beings will almost double next year, to greater than $200M (still less than 1% of the $40B market for conventional industrial robots). 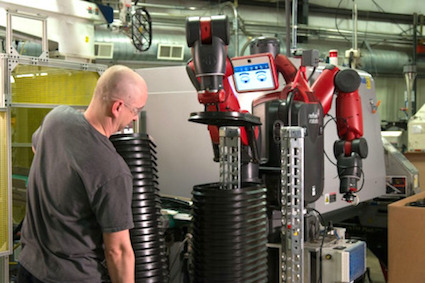 Fierce price competition and innovations—such as Franka, a cobot arm that can replicate itself, is ultra-safe, and costs about $10K, less than a third of the best-selling UR5 from Universal Robots—will drive more businesses to give this technology a try. Autonomous vehicles’ progress continues in leaps and bounds—The race by auto and tech companies will continue to accelerate, to see who gets a commercially available and road-legal level 4 autonomous vehicle (i.e. fully autonomous, within specific domains such as highway driving)on the road first. Ford and Volvo/Uber are targeting 2021, just four years away, as their date to get to level 4. GM acquired Cruise (self-driving car startup) last spring and is working with Lyft, whom they also invested in. GM plans to launch their level 4 initially as a ride-sharing service. As in many cases, the technology is moving faster than the legal and supporting infrastructure (e.g. insurance). Elon Musk claims Tesla will have a level 5 autonomous vehicle (fully autonomous under all conditions) by the end of 2017, but whether and where you will be able to legally be driven in it without a human operator ready to take over is another question. The rapid pace of technology will put pressure on law makers, regulators, and insurers to make this technology legal and useable sooner rather than later. 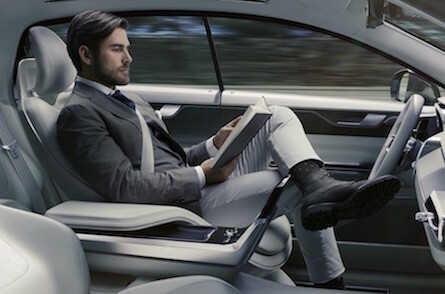 Autonomous vehicles are progressing faster than most experts predicted and will have a huge impact on jobs for cab/uber/limo drivers, truck drivers … and anyone else who drives for a living. But we won’t see that impact on jobs in 2017, rather the jobs impact will happen in the 2020s and 2030s as autonomous vehicle usage really takes off. Automation of white collar jobs will seemingly burst onto the scene—The discussion of job loss due to automation has historically primarily focused on manufacturing jobs lost to industrial automation (automation is one of the main reasons we won’t see a big uptick of manufacturing jobs in the US anytime soon). More recently there has been considerable automation in warehouses as well, but continued vigorous growth in online ecommerce and the resulting surge in small order shipments has compensated for loss of jobs due to warehouse automation (for now). Meanwhile, largely in the background, tools to automate white collar grunt-work have been gaining momentum. Of course, many enterprise software systems are designed to ease manual tasks. A relatively new development is systems that can be easily configured and programme1 by the very power users whose work is being impacted. This is a sort of self-service, automate-your-own-job approach. White collar task automation is being increasingly seen as an even more cost effective alternative than outsourcing those tasks to low-cost labor countries. This has been happening for a while, but we expect white collar automation to gain the limelight in 2017, accompanied by increased worries about its impact on job loss. The increasing pace of automation on all fronts (factories, warehouses, vehicles, white collar) and other ‘tectonic’ economic shifts like the decline of coal, will place intensifying urgency on policy makers and enterprises to launch and dramatically expand effective programs to retrain workers in order to avoid massive waves of unemployment and disenfranchisement. The human side of this story must not be forgotten. IoT security breaches reach all time high in 2017—A DDoS (Distributed Denial of Service) attack against Dyn in October 2016 exploited weaknesses in IoT devices' security. This attack made dozens of major internet sites (e.g. Amazon, Twitter, Netflix) and internet services unavailable to users across large areas of North America and Europe. We predict that attack was just a warm-up act for what we’ll see in 2017 and beyond. It’s important to differentiate though between attacks against IoT devices for the purpose of using them in cyberattacks on another target vs. a breach where the end goal is compromise and access of the IoT device itself. The Dyn attack was the former, aimed at recruiting enough insecure internet-connected devices (such as cameras, gateways, printers, baby monitors, etc.) to generate a massive stream of traffic for the DDoS. Bruce Schneier wrote an excellent analysis of why the market is not motivated to fix security in those kinds of IoT devices. Breaches where the IoT device is the end goal could be more ominous—such as hacking into an internet-connected lock/home security system to rob or kidnap someone, hacking into a car for theft or to remotely kill someone (e.g. by disabling the brakes),2 hacking an airplane to crash it, or hacking a traffic light system or power system to wreak havoc and hold a city or region hostage. In these latter cases, the users and makers of the IoT devices have a much higher motivation to make them secure, but there are still plenty of weaknesses that can be exploited. We predict, sadly, that more spectacular attacks will come in 2017 (see The IoT Security Imperative). Blockchain meets IoT—2016 saw a variety of creative discussions of blockchain IoT applications. We predict that in 2017 we will see some of these visions start to become a reality, through various startups and early stage pilots. Inter-entity IoT data sharing advances … but very slowly—Tools for IoT data discovery, brokering, sharing, and ownership rights protection have been almost non-existent (see sidebar). In 2017, we will see the beginnings of some of these emerge, but we don’t expect any breakout developments. As a result, a tremendous amount of potential value will remain locked up. We are likely to see data sharing emerge first within the context of specific ecosystems, whether it’s a particular city, supply chain, or industry. For more on IoT data sharing, see the section ‘What about the IoT’ in the article Who Owns the Data in SaaS and IoT? The market for UHF RFID tags will exceed 10 billion units in 2017—Passive UHF tag sales in 2017 will top 10 billion units, powered primarily by the continued healthy uptake of RFID in retail, driven by the high ROI of item-level tagging of high-mix complexity/low-substitutability categories (e.g. apparel, footwear, cosmetics). For more, see The ROI for RFID Technology in Retail. Another major retailer will announce the tagging of all general merchandise—Both Macy’s and Marks & Spencer have announced their intention to tag 100% of all general merchandise, not just apparel and footwear, by the end of 2017. We predict at least one more significant retailer will make the same decision in 2017. Retail pilots of overhead RFID readers with real-time locating capabilities will broaden, presaging production rollouts in 2018—The use of overhead readers, while not progressing as fast as some vendors hoped for, will continue to expand as retailers gain experience with the technology and home in on the use cases with the most compelling ROI. For more, see Road to Value for RFID in Retail: The Path to Continuous Real-time Visibility. Nationwide Electronic Toll Collection (ETC) interoperability will progress but not be completed in 2017—MAP-21 (Moving Ahead for Progress in the 21st Century Act, aka PL 112-141), mandated states to make their electronic toll collection systems interoperable by October 1, 2016. That deadline was missed. Agreeing on a standard tag is just one hurdle. The various agencies also have differing backend systems and business rules and process that need to be harmonized and integrated. We predict progress, but not completion of the task in 2017. 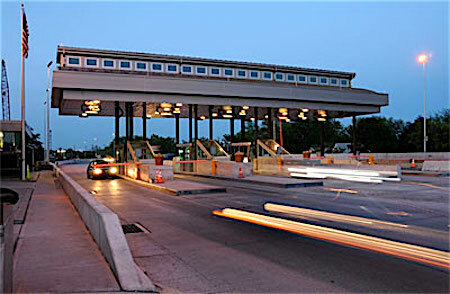 Once a nationwide tag standard is adopted, it may open up opportunities for other applications of tagged vehicles beyond toll collection, such as automating the order and payment for drive-through fast-food restaurants; or automated entry, exit, and payment in for-fee parking lots. Omni-channel continues to drive big investments— Retailers are seriously facing the music in omni-channel. Ever-rising e-commerce volumes and customer expectations on seamless omni-channel experience, with free/cheap/fast delivery will force retailers to continue to invest in home delivery, transportation for e-commerce, distributed order management, and store systems that support omni-channel. The market and battle for store systems (POS, clienteling, fulfillment, task mgmt.) heats up—For stores, this means integrating e-commerce orders into store POS systems, in some cases with clienteling capabilities. On the back-end, we’re seeing rapid evolution of new systems to fulfill orders in the store—both pick-pack-ship (for home delivery/parcel shipment orders) and pick-pack-hold (for pickup-in-store orders). All this is driving the need for better task integration, to let associates easily prioritize, multi-task, and switch back and forth between helping customers, fulfilling orders, replenishing shelves, and all the other daily tasks. 2017 will be a year of intensified evaluation of these systems by retailers and intensified marketing by solution providers. 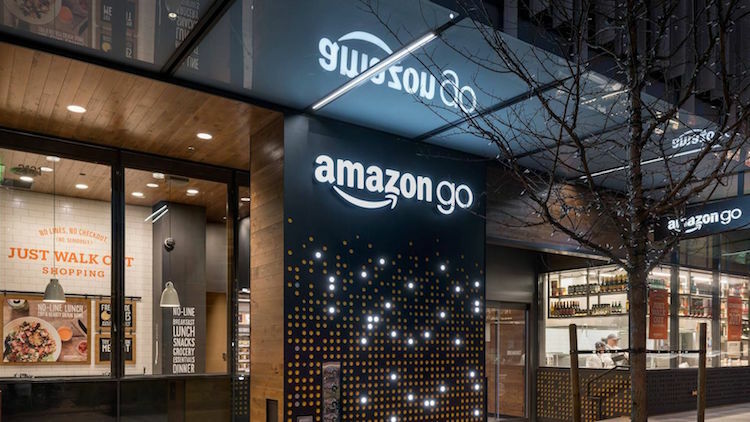 Zero-checkout shopping becomes a reality, beyond Amazon Go (but only for a very few pilot stores)—At the beginning of 2016, I’ll bet most experts would have predicted that something like Amazon Go is at least a couple years away, or more. Using a combination of video analytics, sensors, and a mobile phone app, Amazon Go is their physical grocery store that lets shoppers ‘check-in’ as they walk into the store,4 grab any items they like, and simply walk out of the store, with the receipt delivered electronically (similar to the receipt sent to you at the end of an Uber ride). We predict this will provide the impetus for at least one other retailer to move ahead with plans for similar zero-checkout (or instant-checkout) concepts. It is a stretch goal that another retailer will actually try this in pilot stores open to the general public in 2017, but it may be possible, depending on what foundation they’ve already laid. Stores that ‘get’ experience buck the trend of declining foot traffic—Foot traffic in retail stores overall will continue to decline. But stores that understand how to create a compelling experience will be able to continue to increase their foot traffic. This can be as simple as Walmart’s investment in tackling the basics; making its stores cleaner, better stocked, shorter checkout lines, easy online grocery shopping, and better fresh produce selection. Or it can be as sophisticated as some of the retailers’ use cases described in Stores' Identity Crisis: The Reimagining of Physical Stores. NAFTA will remain unchanged in 2017—Hot campaign rhetoric will meet the cold realities on the ground as the president likely does not have the legal authority to undo NAFTA alone (and would probably be challenged in court if he tried) and congress (at least the majority) likely doesn’t see it in the interest of their constituencies to abandon this trade treaty completely, given how much the economies of US, Mexico, and Canada have become so intertwined. There is widespread agreement that there are flaws in the agreement, but also that it has brought a lot of benefits, including creating more jobs than it has destroyed for each of the three countries. Renegotiation would take a long time, since all three countries have ideas on how to improve the agreement and will be negotiating for their own interest. So, it’s not clear whether there will even be an attempt to change NAFTA in 2017, but if there is, the renegotiation process may start in 2017, but won’t conclude until well after the end of this year… perhaps several years later. For more, see It’s All About Jobs. African economic slowdown starts to turn around—Africa’s economic growth has decelerated during the last five years from an average real annual GDP growth of 5.4% between 2000 and 2010 down to just 3.3% between 2010 and 2015.5 We predict this deceleration will end and start to reverse in 2017. 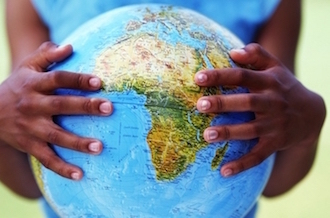 A vast and diverse continent, rich in both natural and human resources, Africa’s obstacles to growth are many and daunting: persistent conflicts, lack of infrastructure, the curse of natural resources (lack of economic diversity and no strong industrial base), political instability, lack of stable, well-run institutions, high debt, lack of education, and corruption (which is perhaps the most pernicious of these obstacles). However, there are reasons for hope, including the youthful labor force, urbanization potential, and potential for technology leapfrogging. The growth will be uneven across the continent—investors will be selective as some areas are much riper for growth than others. China takes advantage of failed TPP and potential of weakened US military support of regional allies—US failure to ratify TPP, which seems almost certain,6 will kill that trade deal. That will give a boost to the 16-nation Regional Comprehensive Economic Partnership (RCEP), which does not include the US,but does include China. As a result, China will likely gain business in these markets, to some extent at US’s marketshare expense. The TPP contains requirements for members to liberalize their economies, meet some environmental standards, protect labor rights, and protect intellectual property, which RCEP does not. In addition, China will even more aggressively take advantage of any uncertainty in US military support in the region. China takes further incremental steps to protect intellectual property rights—As China tries to grow from being a low-cost labor economy to more of an innovation-driven economy, the protection of intellectual property rights becomes a key enabler of that transition. 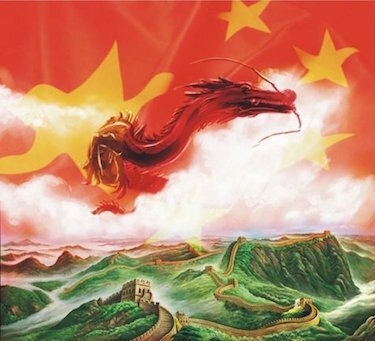 China will gradually build out the laws and institutions required. It remains to be seen how even-handed they are with domestic vs. foreign IP. Coal will continue to decline in 2017 and beyond, while renewables will continue their robust growth, regardless of changes in regulation—The decline in coal (see Figure 2) has a lot more to do with the innovations of George Mitchell (developer of commercially viable fracking) than with the regulations of any US administration. Fracking has created a huge increase in supply of oil and gas (especially in the US), thereby driving down their prices dramatically relative to coal. 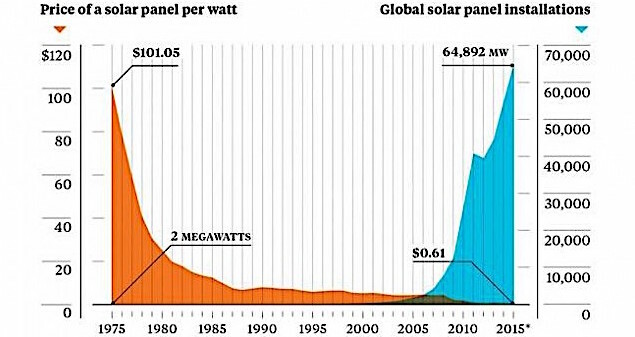 Simultaneously, the cost of renewables has continued to decline dramatically year after year, and is expected to do so for the foreseeable future. That’s not to say that rollbacks of regulations will have no effect on the pace of decline, but that the continued decline of coal is inevitable in any case.7 The majority of new power generation capabilities continues to be in non-hydro renewables, followed by natural gas. Exponential growth in Siri-like applications—If you think we had a lot of Siri-like digital virtual assistants announced this year, you ain’t seen nothing yet. The number and variety will really take off in 2017, especially domain-specific virtual assistants. These will be added to those already launched or announced, such as Amy (for scheduling meetings), Viv (sort of next gen Siri, from its original creators) which may end up combined with Samsung’s Otto, Shae (personal health), Hound, EVA (Enterprise Virtual Assistant), Oracle Voice, SugarCRM Candace, and many more beyond the famous ones we’ve all heard of: Amazon Alexa, Google Now, MS Cortana. An interesting development that we believe has legs is the combination of AI with human intelligence to deliver a hybrid service that is better than either alone, as Tradeshift is doing with Go. Predictive and prescriptive analytics grows in logistics, field services, maintenance—The domains of logistics and field service have become big users of technology, but traditionally somewhat prosaic functionality such as scheduling and dispatching of workers and technicians. There’s been a lot of talk … and we expect a lot of progress in 2017 … for the application of predictive and prescriptive analytics in areas like precise ETA calculations and predictive maintenance. Enterprise solutions deeply embed AI and machine learning—To capture the institutional knowledge, rid workers of grunt work, and make functionality accessible to all, enterprise solution providers will embed more and more intelligence and machine learning into the platform. This also enables new types of functionality, such as JDA’s behavior based clustering (Retail.me), which analyzes actual consumer behavior (how/when/where they shop, buy, return) using machine learning to create behavior-based consumer personas rather than relying on demographics alone to define store and customer clusters. Mature legacy enterprise solutions continue to evolve … or die—Most of today’s largest ERP and enterprise solution providers started in the 80s or 90s (some even in the 70s) and as such have built up a heritage of rich and deep functionality. However, that functionality was built on what are now ancient platforms, with old user interfaces. Those players that are surviving and thriving have stepped up to the plate to move onto modern cloud architectures, and have updated their user experience with an eye to zero-training required; for example, the work being done at JDA Labs and Infor’s Dynamic Science Labs and Hook & Loop. The battle has shifted from depth of functionality to accessibility of functionality. That is a key driver of embedding machine learning into these solutions … to make them much easier to use. 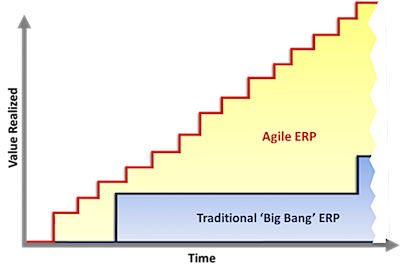 Figure 5: Value Realization in Traditional vs.
Agile implementation of enterprise solutions becomes the norm—The days of big bang implementations are over. As discussed in Agile ERP, solution providers are increasingly enabling their customers to consume new value iteratively in bite-sized pieces, and developing agile implementation methodologies that leverage the cumulative experience of past implementations. Agile physical product development starts to take off—Up to now, agile development methodologies have been applied primarily for software development. The idea of iterating on a physical product, like weekly releases of a car in development, has only been done in the fringes so far. We don’t expect all that to change in one year, but a lot of the enabling technology for agile development are in place, including 3D printing and agile team tools that integrate industrial, mechanical, electrical, and software for complex, multi-discipline agile design and development. In 2017, we expect more mainstream experimentation and the beginning of adoption of agile product development for physical products.